With a 130-year legacy of pharmaceutical education in Brooklyn and more than 65 elite clinical affiliations, LIU Pharmacy’s proud tradition is one of ongoing connection with the local community. At the same time, LIU Pharmacy’s students and faculty are extending that spirit of community across the globe. In the coming year, LIU Pharmacy students will travel overseas for a hospital rotation in Israel, a community pharmacy rotation in Austria, and an oncology rotation in Thailand through LIU Pharmacy’s international experiential elective rotation program. 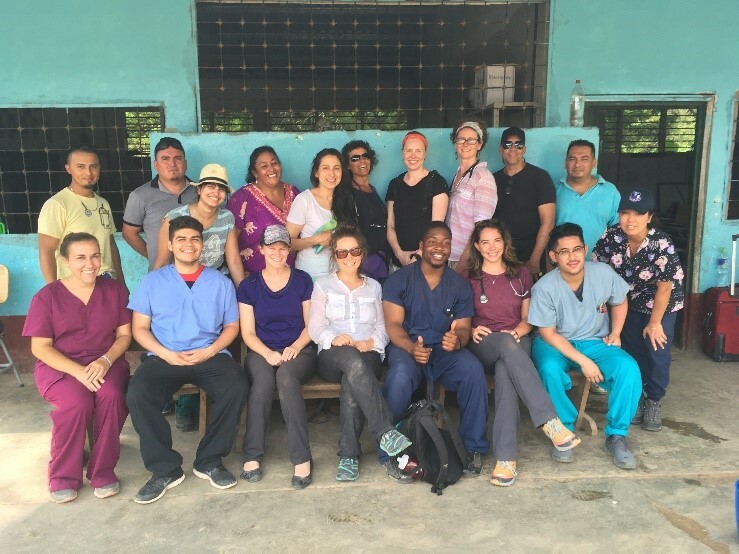 These travels follow a pair of medical missions by LIU students, faculty, and family this summer, aiding underserved communities in Honduras and Guyana. Dr. Gim led the medical missions to Guyana and Honduras, traveling with students and, in one case, a pharmacist who is also the parent of an LIU Pharmacy student. While some of the students were already familiar with the countries where they volunteered – the two students who volunteered in Guyana come from that country – volunteering on the mission was still a different experience. The medical missions and international rotations serve as valuable interprofessional training, as the LIU Pharmacy students interact with nurses, physician assistants, physical and occupational therapists, and other volunteers and local practitioners. The interaction with patients from different backgrounds also serves as preparation for what awaits PharmD students upon graduation.